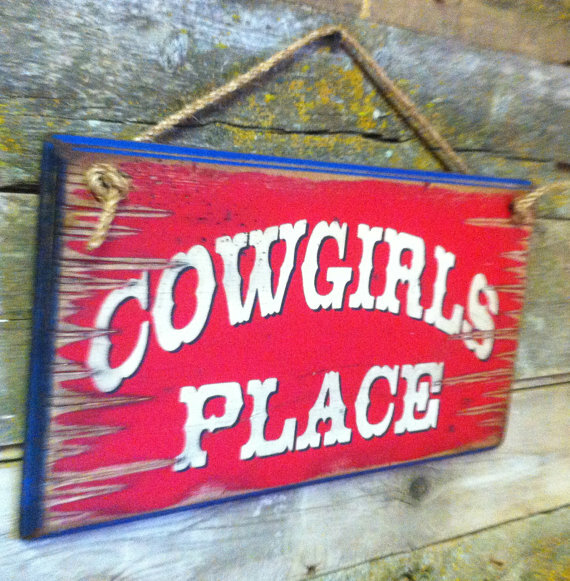 Cowgirls Place, ... 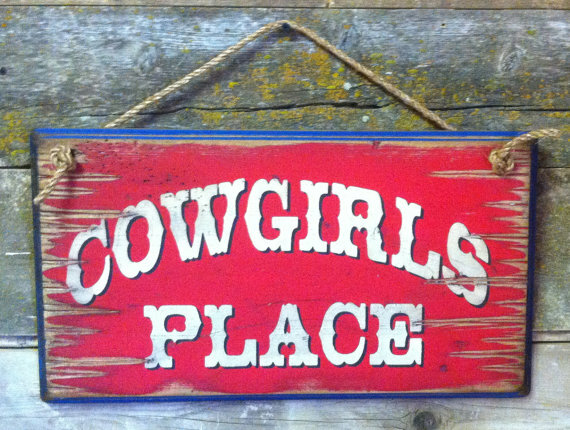 Hang this anywhere to welcome your family and friends! 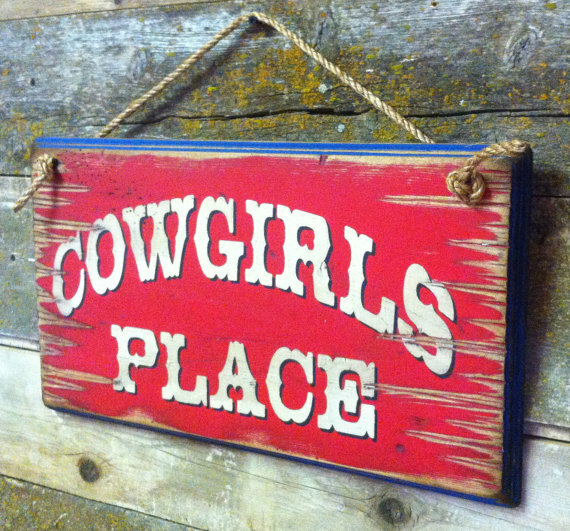 It measures 11x20, has a red background, dark blue edge and comes with the grass rope hanger for easy hanging! Handcrafted with pride!